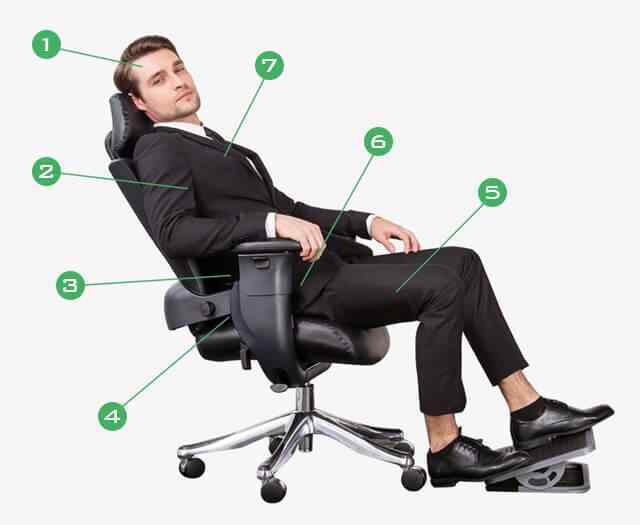 The Eureka Swing is the only chair in the world where the pivot point of the chair is in the same area as the pivot point (CR-1) of humans natural seated posture. As Ergonomists certify, the natural pivot point (or Center-of-Rotation (CR-1)) of a humans natural seated posture is proximate to the naval. The pivot point of all other office chairs is under the seat, at least 6 to 8 inches out of alignment. Lean back... We'll catch you. Enjoy a workday full of Natural Human Motion. 1. Balanced posture optimizing blood and cerebral spinal fluid flow. 2. Curved backrest, dynamically moves with you throughout your day. 3. Maintains dynamic sacral movements in the pelvis optimizing the flow of cerebrospinal fluid increasing focus and reducing the risk of headaches. 4. Increased blood-flow and circulation, reducing the risk of sciatica. 5. Increased blood-flow and circulation to the lower-legs, reducing the risk of ailments such as Bloodclots and Celulitus. 6. The Swing seat helps you maintain a full range of motion, balancing your posture. 7. 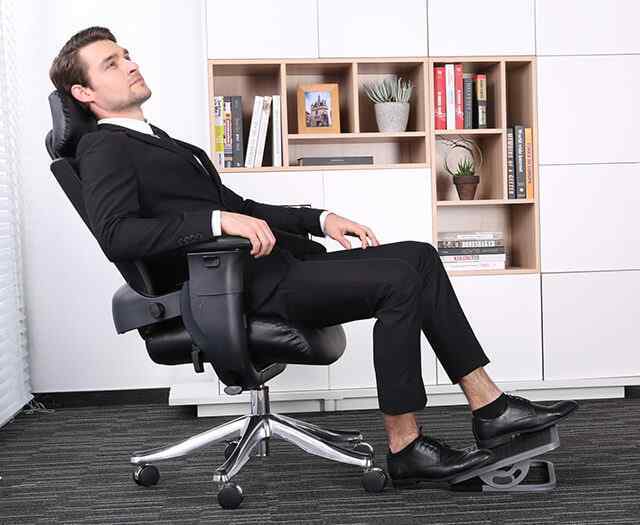 Having full range of motion while seated allows you to stretch out and not be as constricted as in other office chairs, to maintain full and healthy breathing. The Swing Chair is engineered using the most current ergonomic research. The path of motion is the same as that recommended in the HFES-100 Standards (Human Factors Ergonomic Society), and is also certified by ANSI (American National Standards Institute). The SwingChair chair is the best, and only chair that has ameliorated the chronic back pain I suffer. Additionally, I can do the back strengthening exercise and position movement exercises while I sit and accomplish the days activities on my SwingChair.